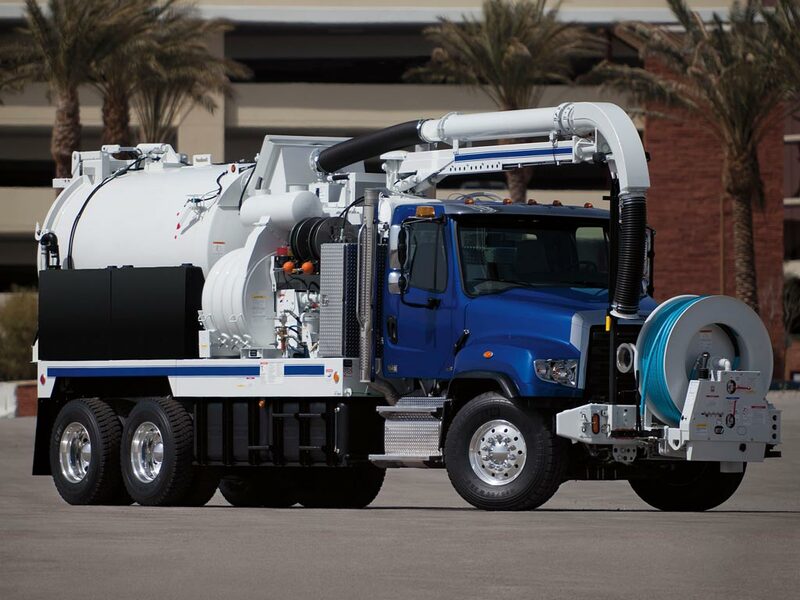 The 114SD is one of the most versatile commercial trucks for sale in the USA. It's built with tough components and a chassis engineered for ease of body upfit. 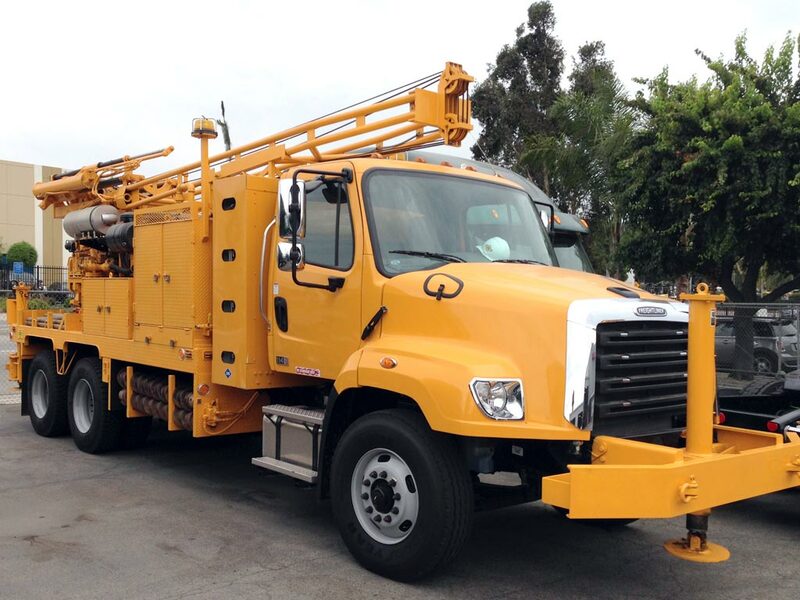 The 114SD severe duty truck is ready to perform the most demanding jobs for a commercial truck. Work the tightest job sites. Take on the toughest jobs. 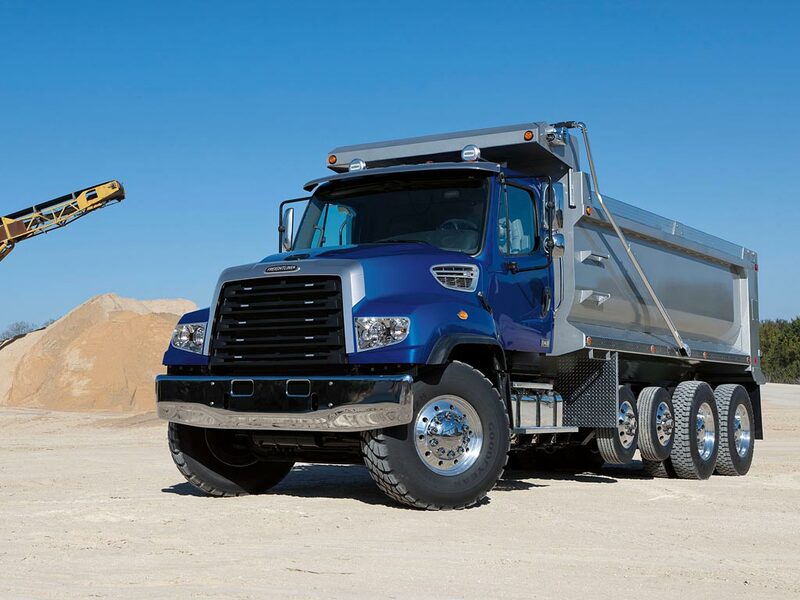 The Freightliner 114SD is tough enough to take on whatever you throw at it. 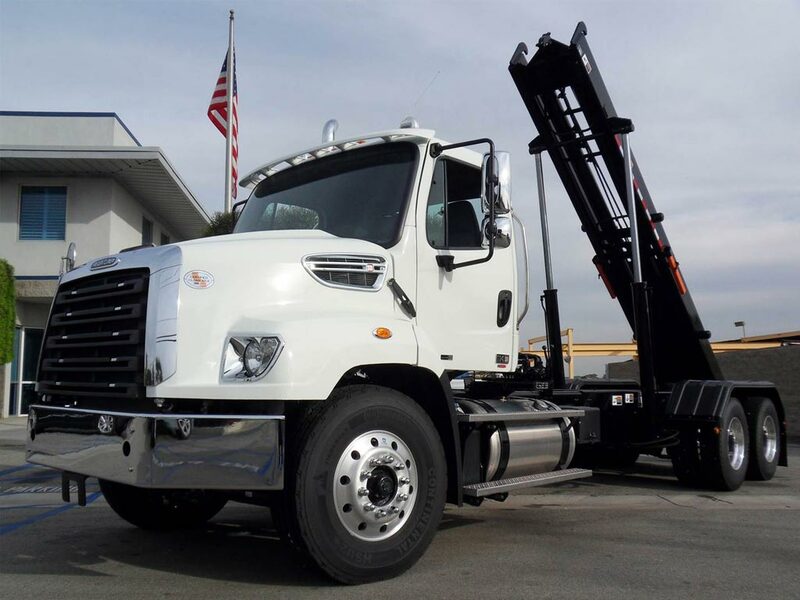 Your choice of strong, fuel-efficient engines, multiple PTO options, a chassis engineered for ease of upfit, and a weight optimized design make the Freightliner 114SD the heavy haul truck for the toughest tasks. 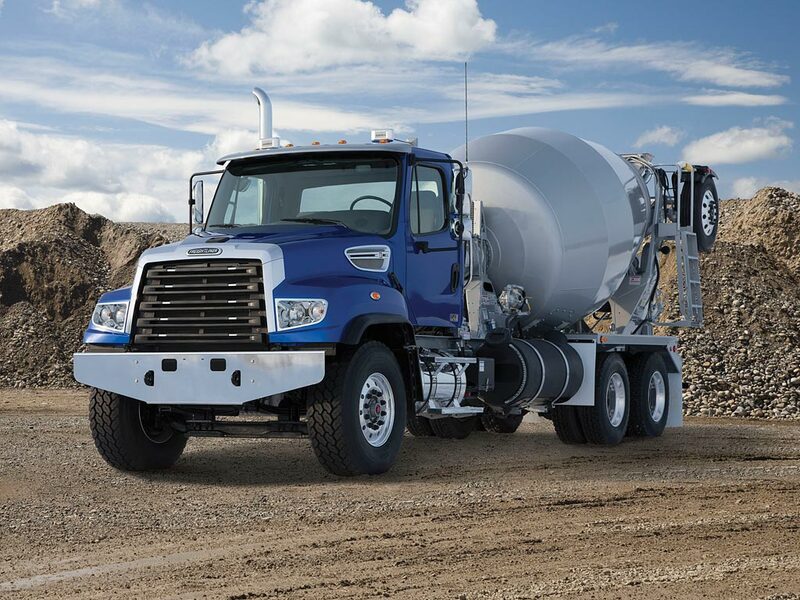 With tough components like a heavy-duty frame, a steel-reinforced aluminum cab and extremely flexible specifications, the 114SD platform outperforms others in heavy duty truck sales because it is ready to endure the most demanding jobs. Comfortable drivers get the job done more efficiently. From a quieter cab to ergonomically placed controls, the 114SD cab was designed to make the driver more comfortable and productive. Set-forward front axle position at 31"